Dad is now in a peaceful and loving resting place with our Lord and Saviour and his loving companion in life, Herta. A memorial service and celebration of his life was held at Spiritwood at Pine Lake on February 9, 2015 with many residents, his Angels from Providence Hospice of Seattle and friends and acquaintances who knew him through the Weekly Chapel services and Bible Study. A Memorial Service and Celebration of Life was held on May 30, 2015 at Clayton Valley Presbyterian Church, Clayton, California. Interment was in the Memorial Garden of Bellevue Presbyterian Church, Bellevue, WA along side of his wife, Herta. Memorial gifts in Otto's name may be made to Clayton Valley Presbyterian Church, 1578 Kirker Pass Rd, Clayton, CA 94517. Otto Henn was born on May 14, 1913 in Heidelberg, (Kircheim), Germany as the son of Wilhelm Henn and his wife Elise Mathilde nee Goetz. He was baptized there on July 6, 1913. He died on December 28, 2014 in Sammamish, WA. After three years in public school he joined the Oberealschule / Realgymnasium. Otto started dating Herta Werner in Spring of 1928. He and Herta worked together in the Kindergottesdienst (Sunday School) of Christuskirche in Heidelberg. Upon graduation at the Oberrealschule, Otto enrolled at the School of Theology of the University of Heidelberg. During the following years he attended classes in Theology at the University of Tübingen and the School of Theology at Bethel near Bielefeld. During the intervening years he also became engaged to Herta. They married on January 30, 1938 at the Peterskirche in Heidelberg. Under then existing law and the political situation, their marriage was illegal. As a consequence they gladly accepted an invitation from Herta’s sister Irma to immigrate to the United States. During the time of waiting for their departure Otto worked for their churches in Innere Mission showing motion pictures in local churches. On June 1, 1938 they departed from Hamburg, Germany to New York City and Denver, Colorado. After settling in with Herta’s sister Irma and her husband Paul Kraus, Otto started working as a bus boy for the Denver Brown Palace Hotel. In the fall of 1938 Otto was offered a scholarship at Yankton College and Seminary by the Russo German Conference where he graduated in 1939 with Bachelor of Arts and Bachelor of Theology degrees. Upon graduation he received a call to become the pastor of the German Congregational Church at Culbertson, Nebraska where he served as associate pastor until his ordination by the Nebraska Conference the 9th of September of 1939 at which time he was installed as the pastor. On October 14, 1939 their son, Werner, was born in McCook, NE. In the fall of 1941 he accepted a call to the German Congregational Church at Lincoln, NE. 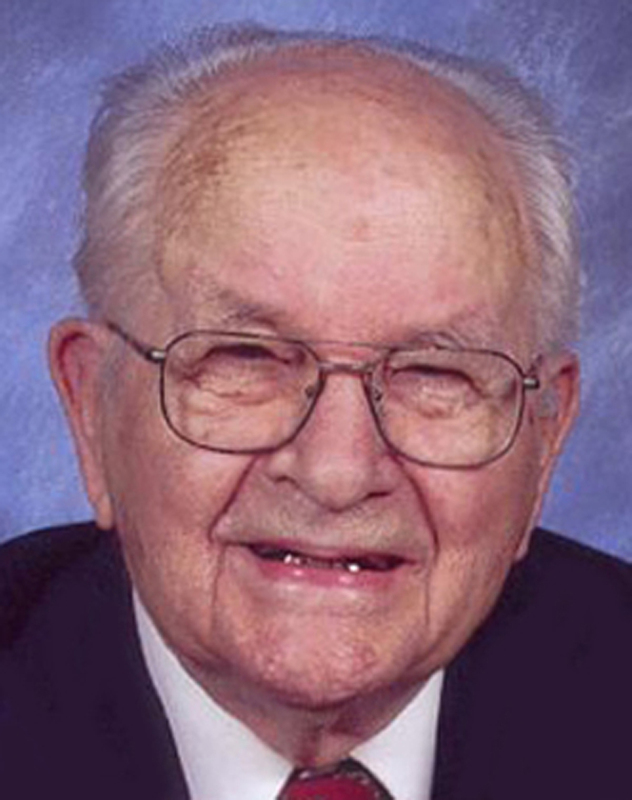 After resigning the pastorate at the Lincoln Church in the fall of 1943, he spent one year as a Ford V8 motor assembler with the local Ford Motor Company. During that year Otto and Herta became members of the United Presbyterian Church USA. Otto returned to his ministry with a call to the Presbyterian churches at Osmond/Randolph, NE, Broadwater/Lisco, NE. During this time their second son, Ralph, was born in Plainview, NE on August 18, 1945. In 1945, he and Herta became naturalized citizens of the U.S.A. He then served as minister of Presbyterian Churches in, Casper, WY and Cut Bank, MT. After 10 years in Cut Bank, they moved on to a postion in new church development for the Presbytery of San Francisco in Daly City, CA, at Mission United Presbyterian Church in San Francisco, CA and lastly, at Clayton Valley Presbyterian Church in Concord, CA. Following Otto’s retirement they lived for a time in their own home in Pittsburg, CA. This was followed by a 2-year stay in a retirement home in Antioch, CA before moving to Issaquah, WA in 2004 to be close to their son Werner, and his wife, Carol. In 2006 they moved to Spiritwood, a newly opened assisted living retirement home. Herta passed away on January 30, 2010, on their 72nd Wedding Anniversary. Otto remained active until his death, participating in bible study, discussion groups, exercise classes, crafts classes and weekly Sunday afternoon Chapel. He preached his last sermon for the Spiritwood Chapel service the summer of 2010. In addition to his preaching, teaching and theological knowledge, Otto was a man of many talents and skills. An ardent photographer, an auto mechanic, carpenter, plumber, electrician and Scout leader. He was respected by his uncountable parishioners and fellow pastors, who also became his friends as he ministered and counseled them. Otto is survived by his sons, Werner (Carol) of Issaquah, WA, and Ralph of Minneapolis, MN. Four grandchildren, Mark (Thomasina) of Sahuarita, AZ; Brian (Jennifer) of Marietta, GA; VerLaine of St Paul, MN; Clarke of Bloomington, MN, and six great-grandchildren, Zachary, Tyler, Lauren, Alyssa, Aidan and Grant. He was preceded in death by his parents, Wilhelm and Elise Henn, his beloved wife, Herta (Werner) Henn, and his brother, Ernst Henn. Interment was in the Memorial Garden of Bellevue Presbyterian Church, Bellevue, WA along side of his wife, Herta.